Our investment in the vertical impact crusher is the earliest, and the effect is also quite satisfactory. At present, the vertical impact crusher has become the mainstay of the crushing industry, which can crush all kinds of high-hard and medium-hard materials and can reach finished pellets in a variety of sizes. In the future, the vertical impact crusher will have better development. Let's take a look at the improvement direction of the vertical impact crusher. 1. It is necessary to improve the structure of the existing vertical impact crusher, improve the crushing capacity of the center hard rock ore and the convenience of equipment maintenance. The main focus is on the improvement of the counter-plate and the impeller structure. The structure optimization of the impeller (crushing chamber shape) can improve the primary crushing rate and energy utilization rate of the ore.
2. Research and development of new plate hammer materials with high wear resistance and high toughness to improve the service life of the plate hammer and improve productivity. 3. The application of modern electromechanical integration technology and modern control methods (such as hydraulic technology, electronic technology), continuously improve the automation of vertical impact crusher, reduce the labor intensity of workers, and improve productivity. For example, the application of modern computer-aided design optimizes the structural parameters of the counter-attack frame to improve the energy utilization rate and the primary crushing rate of the ore.
4. In order to meet the needs of the market and customers, the vertical impact crusher is being serialized and standardized. 5. Adhere to technological innovation, and gradually get rid of the single introduction and imitation of products. 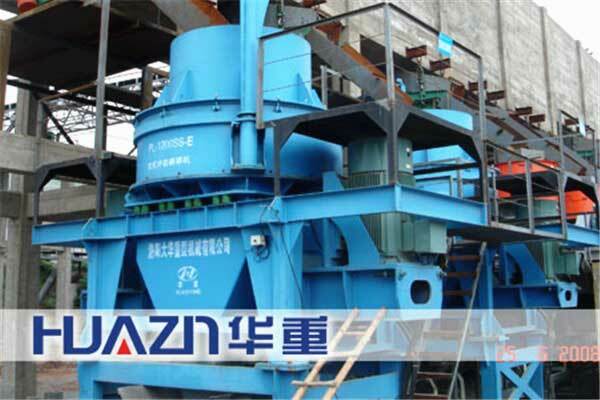 Improve the research and development of independent knowledge of vertical impact crushers. The times need to develop, knowledge needs to be followed up, products need to continue to innovate and develop to adapt to the market, and the development of vertical impact crushers is immeasurable.